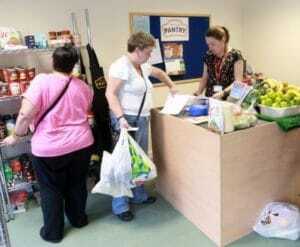 Stockport Homes opened the doors to its first pantry in 2014. 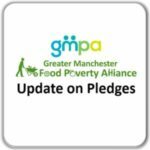 This was a time of welfare reform and the surge in food bank vouchers allocated in Stockport made it apparent that there needed to be another option available, one that would help and support people before they reached crisis point. It was hoped that the pantry model could help relieve financial pressure in people’s lives, and be a sustainable resource that would bring communities together. 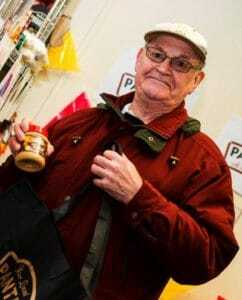 The pantry is a volunteer led, community food resource with local residents signing up as members and paying a small weekly subscription fee (£3.50 in Stockport). In return for this, members can visit the pantry once a week and select their own items from a wide variety of goods. This includes chilled, frozen, dairy, fresh meat and fish, fresh fruit and veg and all the usual store cupboard favourites. These items are often worth in excess of £15.00 at retail value. • Offers a hand up not a hand down – we are not a foodbank or crisis provision, we aim to prevent people from reaching this point. • Community led – members and volunteers keep our shelves stocked and our pantries open and as such must be at the heart of pantry development empowering themselves and their local communities by co-running their own Pantries. All money raised is reinvested straight back in to the project, paying for the day-to-day costs as well as raising a small surplus. This surplus allows the pantry to buy additional stock and essential equipment where required. The majority of our stock comes from FareShare, a national charity who redistribute surplus stock from large supermarkets and food manufacturers to projects like ourselves. 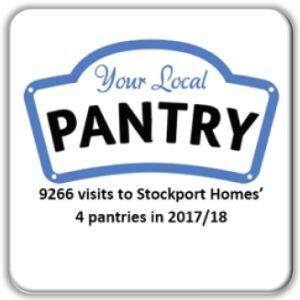 As at September 2018, four pantries were open in Stockport, with a further one scheduled before the end of the financial year. The pantry network has a significant impact on local communities, with 9266 individual visits to the four pantries in 2017/2018 generating a collective saving of £115,825. Its 25-30 strong group of volunteers from the local community and Stockport Homes’ staff have donated 4,735 hours during 2017-2018, covering everything from the cash office, supporting customers with their pantry shopping, behind the scenes administration and receiving/sorting deliveries. 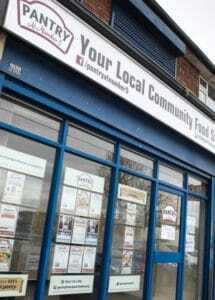 Many other social landlords and community groups are now interested in replicating our model through the Your Local Pantry social franchise. Over 30 pantry style schemes are now operating in Greater Manchester with many more coming on board from across the UK. 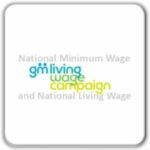 Church Action on Poverty (CAP) manage the social franchise on behalf of Stockport Homes, to help people to set up community cooperative food stores nationwide. To discuss what is included in the package of support and costs, please contact CAP via laura@church-poverty.org.uk or telephone 0161 872-9294. 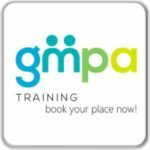 For more information about all food providers across Greater Manchester please visit GMPA’s map.